One of the suggestions made by the R&D community in our video on Friday was the need for funds that support networking events. The point sparked this conversation on Twitter, which I thought was worth posting here. What do you think? Thanks as ever to Kieron for the provocation! 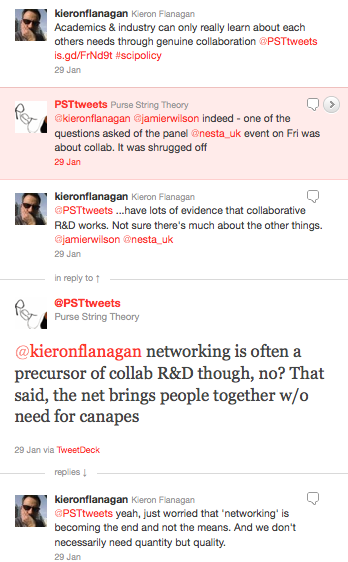 Follow Purse String Theory on Twitter @PSTtweets.